✅ PERFECT LUNCH SACK? - YES! 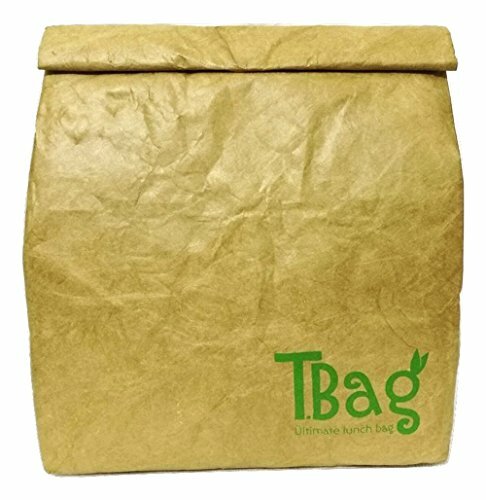 Our Brown Paper Lunch Bag is made of unique Tyvek material which is Durable, Reusable, Water Resistant, Tear-Proof and Leak-Proof. 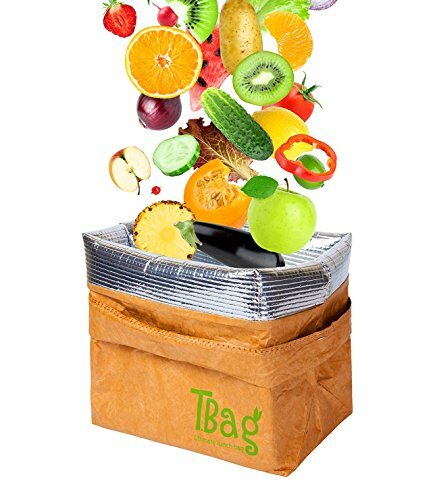 T.Bag is a brilliant alternative to the boring old lunch plastic boxes. Perfect to take your lunch at work, school or picnic. 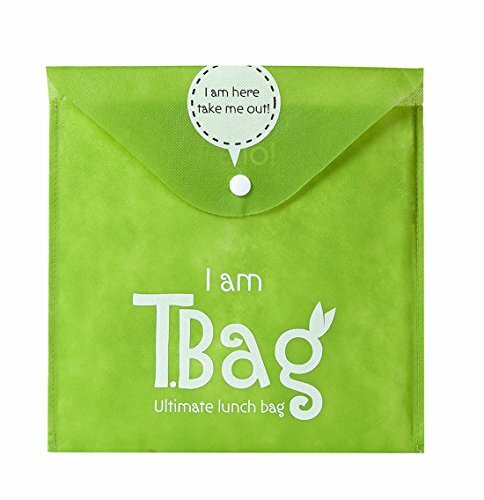 ✅ INSULATED LUNCH BAG: It has a silver insulated material inside that makes it an intelligent paper lunch bag, keeping things cold or hot, whichever way. It recognises what is needed and keeps a constant temperature. ✅ LARGE, LIGHT, SAFE: (9.7 in x 9.2 in x 1.2 in). It is pretty large and great for packing healthy foods such as: dairy, fruits and veggies. 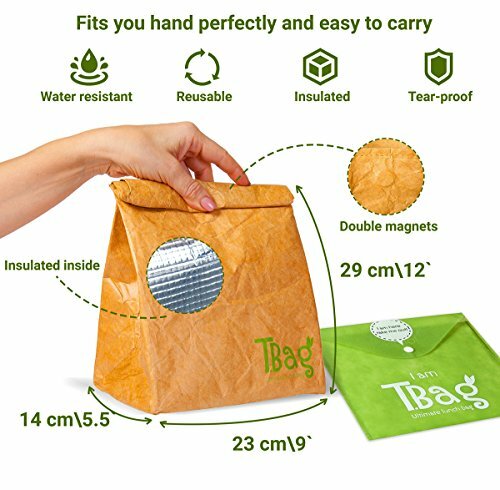 T.Bag can be easily folded up into a messanger, handbag, briefcase or backpack once emptied. TRIPPLE MAGNETS LOCK on the top to keep your goodies safe! ✅ ECO-FRIENDLY, REUSABLE, WRITEABLE: Just wipe clean with a damp cloth and leave it to dry. It look way cooler too in American retro/vintage style. 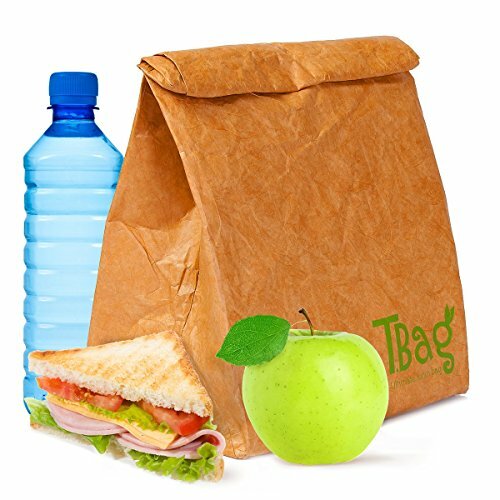 Create your own lunch bag design it is writeable! You can write your name on it and nobody will steal food from you! ✅ PERFECT GIFT with LIFETIME GUARANTEE: We sell high quality products that last. 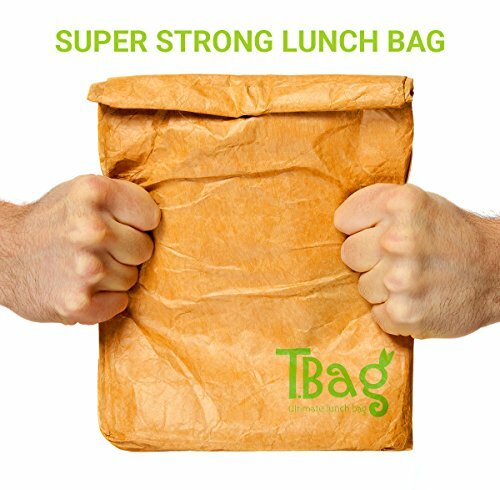 Our rock-solid T.Bag guarantee means we'll replace your brown paper lunch bag if there's ever a problem! 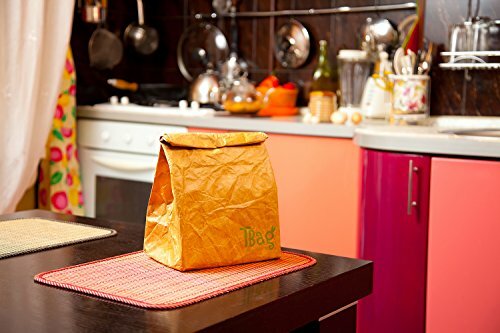 This Reusable Brown Paper Lunch Bag is really a high-tech cooler impersonating the retro look of an old-fashioned brown paper bag. Made of a unique, hi-tech Tyvek material, this cooler is reusable, water-resistant, tear-resistant, and leak-proof. It’s perfect for keeping cold food cold and hot food hot (or, at least, warm) as it works for both. It’s a brilliant alternative to the boring old lunch plastic boxes. 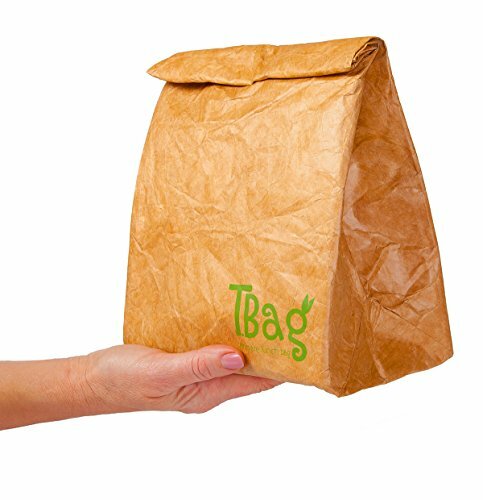 You can write or doodle on the outside of the bag, just like a regular paper bag (though, I would suggest using dry-erase markers). That way, you can personalize it for your own style. 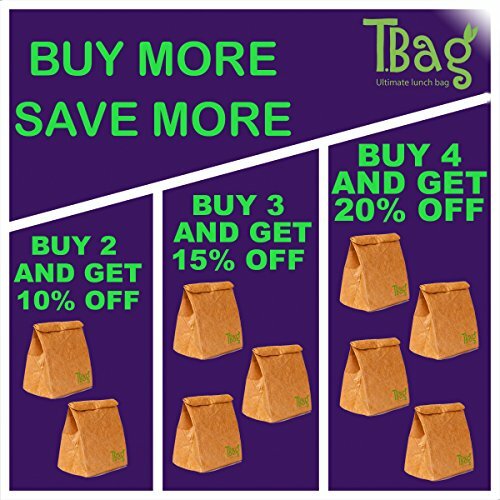 In addition, it’s an eco-friendly alternative to traditional plastic and even paper bags because it’s reusable. It’s also easy to clean. Just wipe it with a damp cloth and leave it to dry. At 9.7 x 9.2 x 1.2 inches, it’s pretty large and will fit all sorts of food containers, sandwiches, salad boxes, fruit, or water bottles. It also has a double magnetic closure to make sure it stays closed and prevent spills. After lunch is over, you can just fold it up and stick it in a pocket or bag. No need to haul a bulky but empty lunch container home with you anymore. Dimensions: 9.7 x 9.2 x 1.2 inches. Features a magnetic closure to keep it sealed. Can be easily folded for storage. It looks like a paper bag but, it’s really a hi-tech cooler.